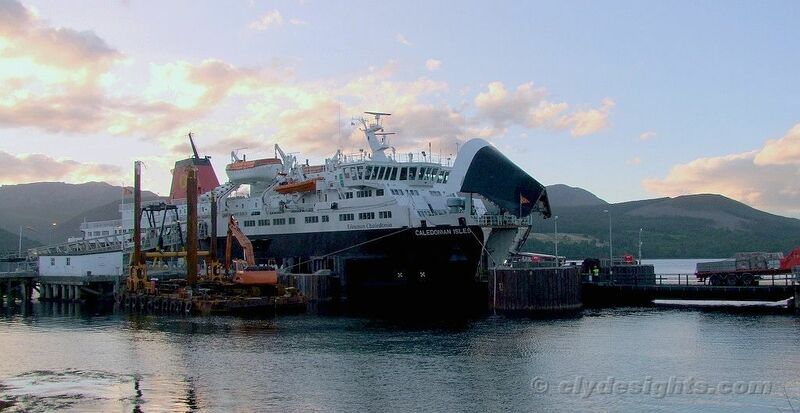 Usually CalMac's principal Arran ferry CALEDONIAN ISLES uses her bow ramp at Ardrossan, and berths stern in at Brodick, as shown recently. 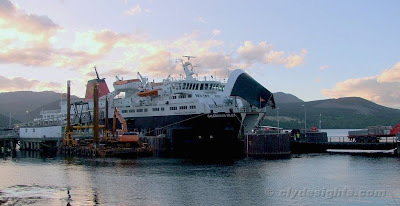 However, because of problems with her stern ramp, she was having to berth the other way around at Brodick for a few days, as seen here in this unusual view. While car traffic was able to turn within her garage on board, longer vehicles were having to reverse on board, which meant that her timekeeping suffered somewhat.